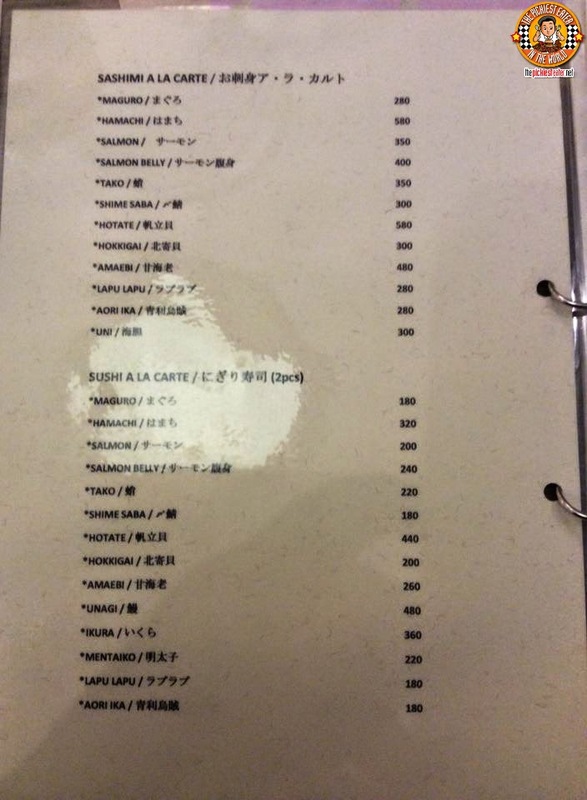 THE PICKIEST EATER IN THE WORLD: HATSUNE AUTHENTIC JAPANESE RESTAURANT: A NEW CHOICE AT BELLEVUE HOTEL! Once again, Jane tagged my family along with her for her Birthday Celebration (which was ended in Neil's Kitchen, my previous post.. 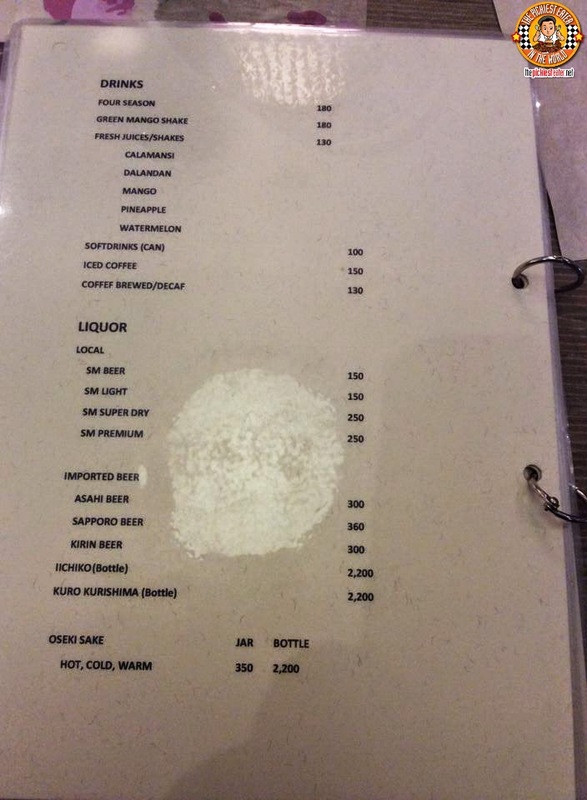 I accidentally jumbled things up hehe). 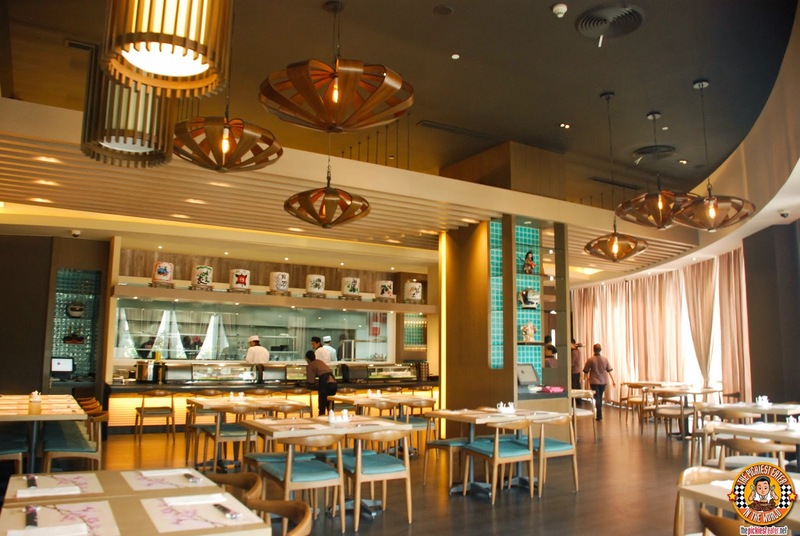 Hatsune is located on the mezzanine of Bellevue Hotel in Alabang, right across Phoenix Court. As we got to the top of Bellevue's Spiral staircase leading to the mezzanine, Rina had to pull me towards Hatsune, as she said I unconsciously gravitating towards Phoenix Court (Sorry, force of habit). 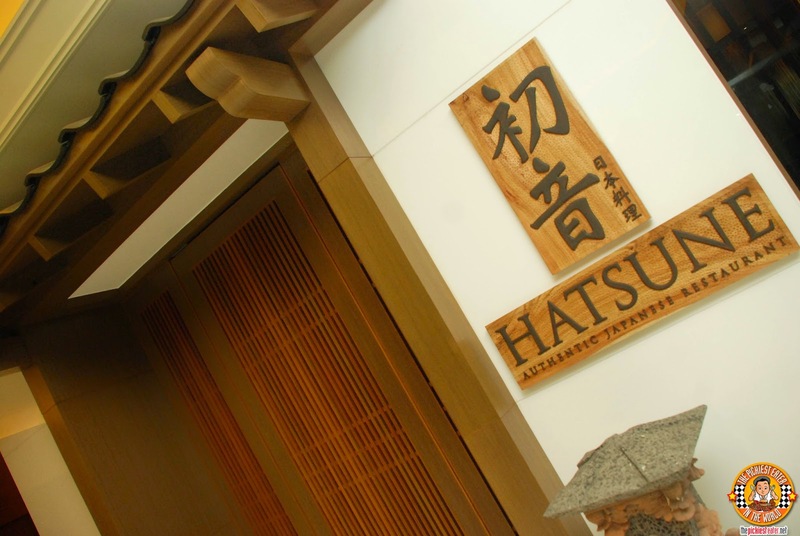 The entrance of Hatsune had an almost "Ancient Japan" feel to it, while the interiors had the clean, zen vibe, accentuated with wooden touches and decors that help invoke the atmosphere of the Orient. 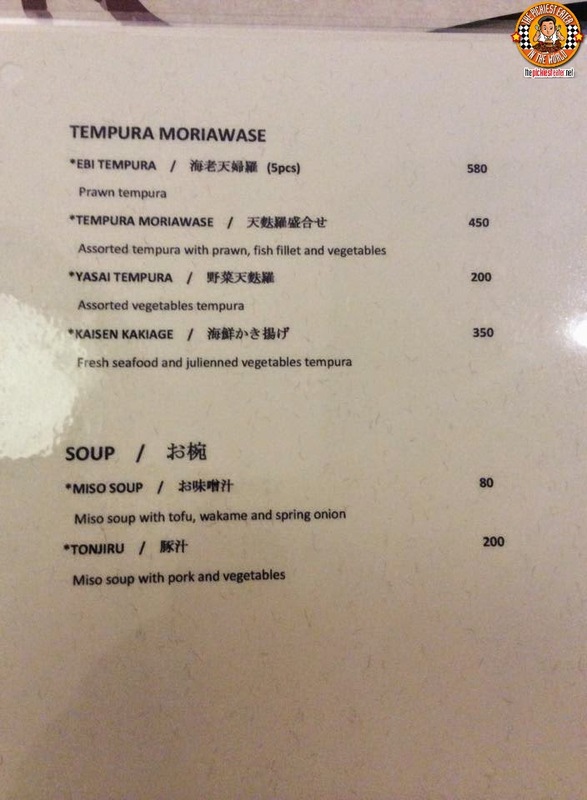 Perfect for getting you into the mood for some Japanese food! We were seated in the small private room, which can seat up to around 20 people or so. 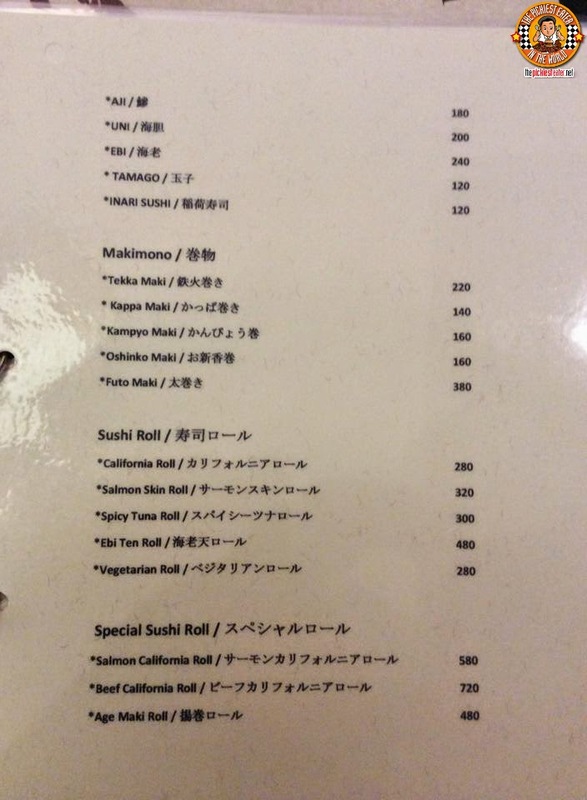 Though I don't eat sushi, I couldn't help but notice that the Ebi Ten Roll (P480) and the Spicy Tuna Roll (P300) seemed to be very popular amongst my Japanese food loving food blogger companions. 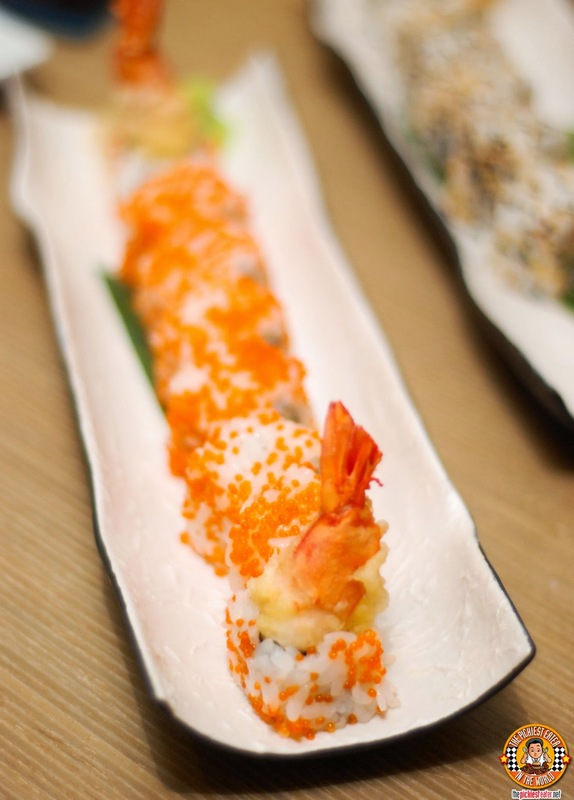 I wouldn't be known as The Pickiest Eater in The World if I ate raw fish willingly, right? 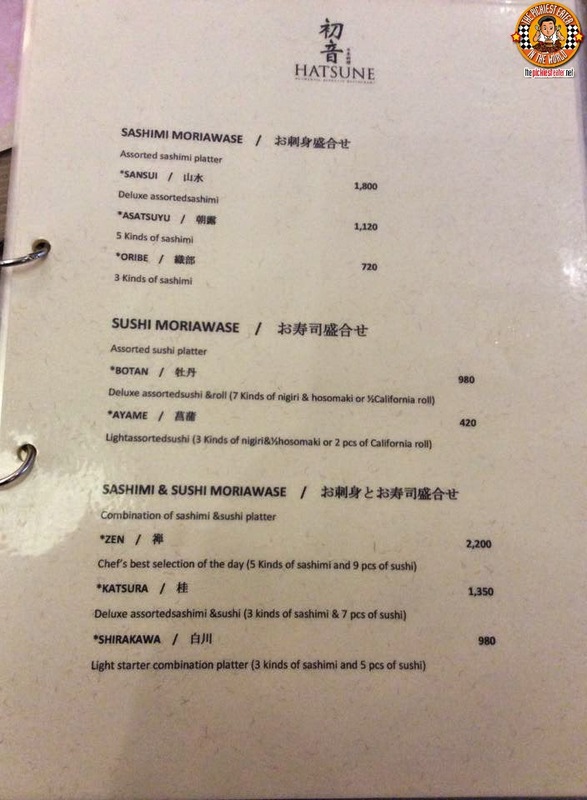 So yeah, I'm not a fan of Sashimi. Every time I tell people this, they respond with something along the lines of "Are you crazy?". 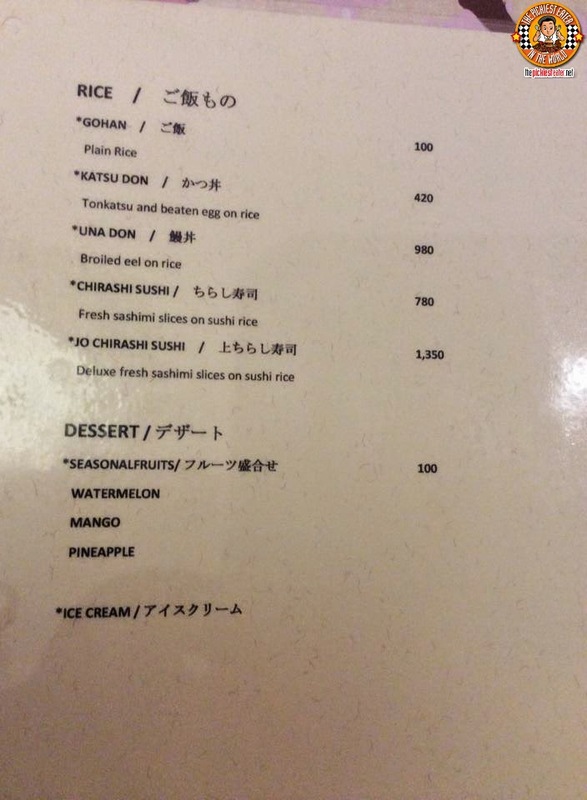 Well, my sanity would once again be in question when those people find out that Hatsune provided this Sansui platter (P1,800), filled with deluxe Sashimi... and I didn't touch it. 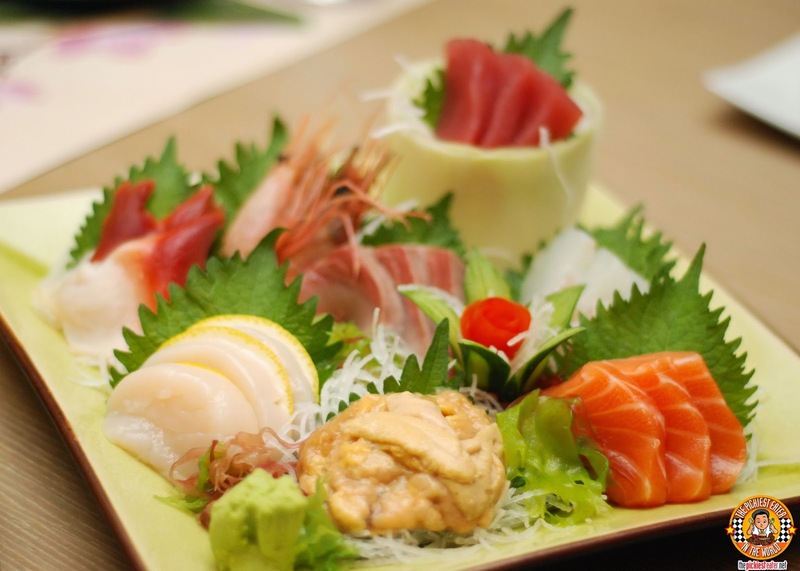 The platter was filled with favorites, such as Tuna, Salmon, Lapu-Lapu, as well as Scallop and Uni. 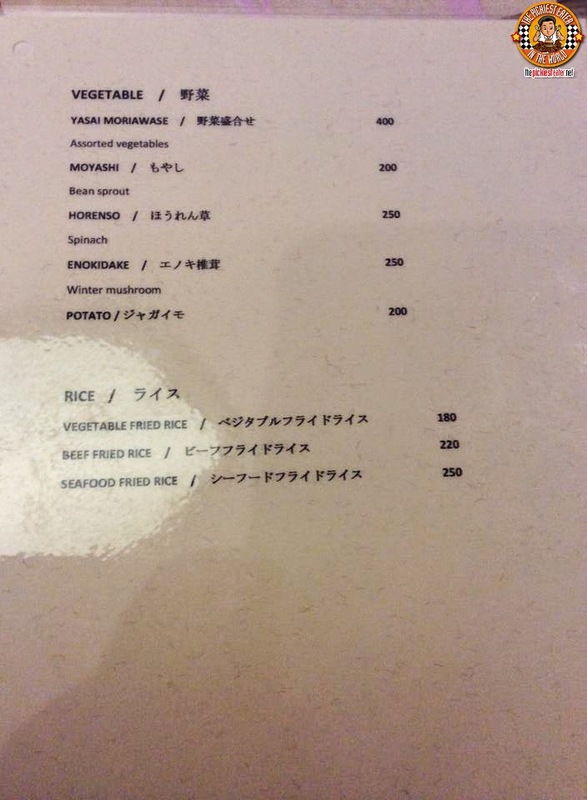 The deep fried items, however, was more up my alley. 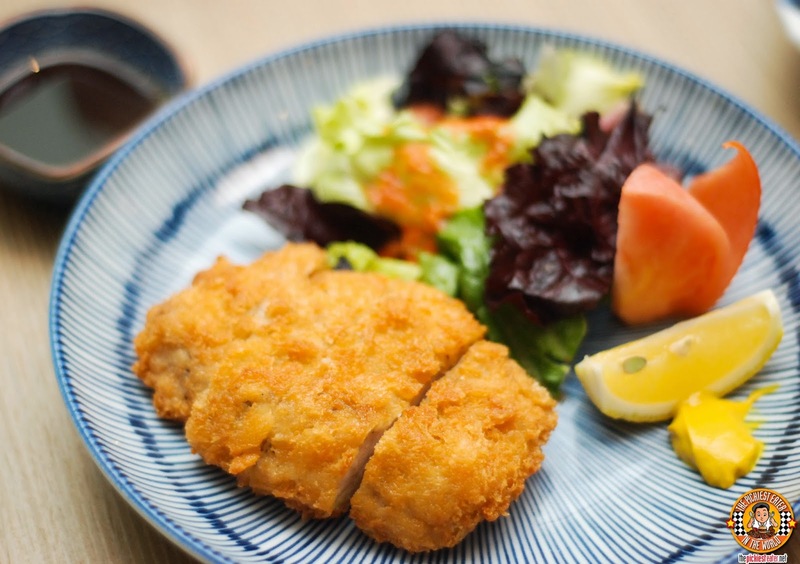 I began by devouring the Kaisen Karaage (P350), which was made with minced seafood and shredded vegetables, mixed a nice Japanese Tempura batter and deep fried to crispy goodness. It was so good, for a second I forgot it was vegetables. 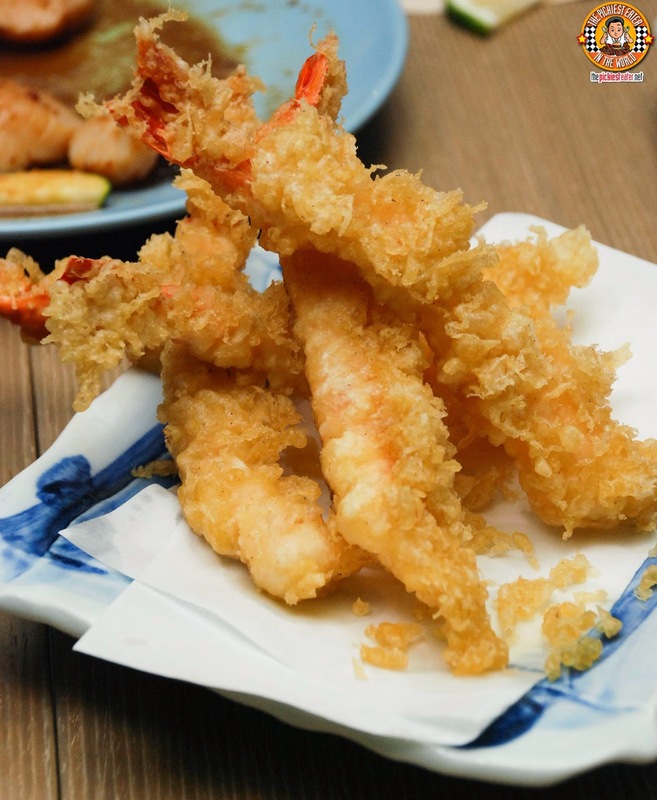 I only eat prawns when they're cooked as tempura, and Hatsune's Ebi Tempura Moriawase (P580 for 5pcs) fit the bill. 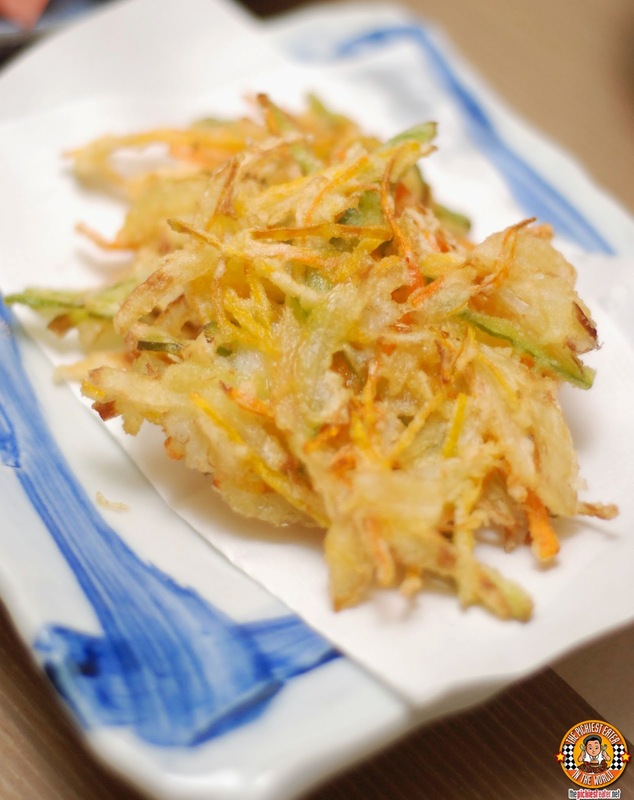 Though it's a little pricey, especially when compared to its competitors, it's hard to imagine a Japanese meal without these plump, deep fried, bad boys. 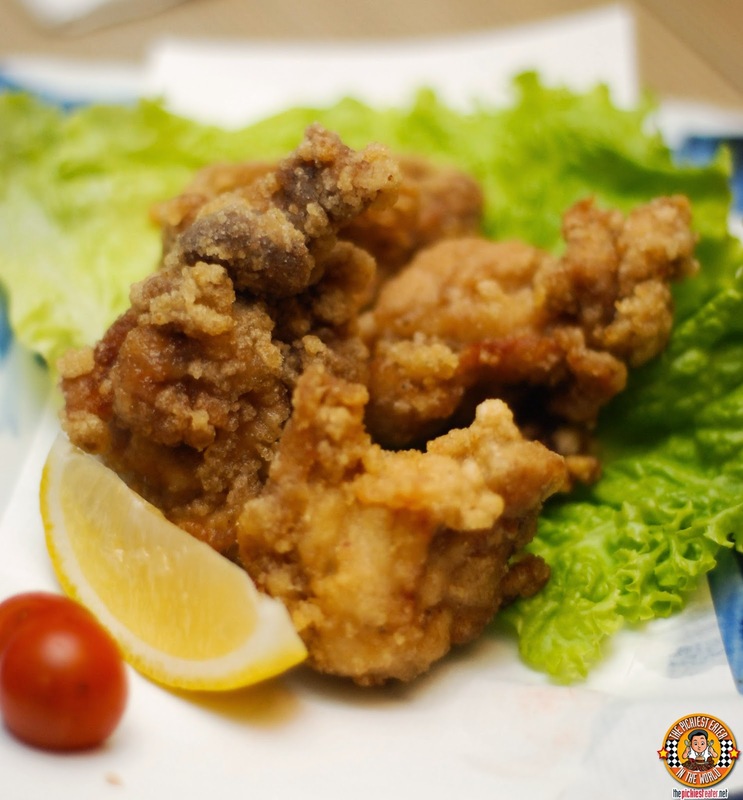 I initially found the Deep Fried Chicken Karaage (P280) a little lacking in seasoning, but when a bit of lemon was squeezed into it, it was given a nice little zesty twist. 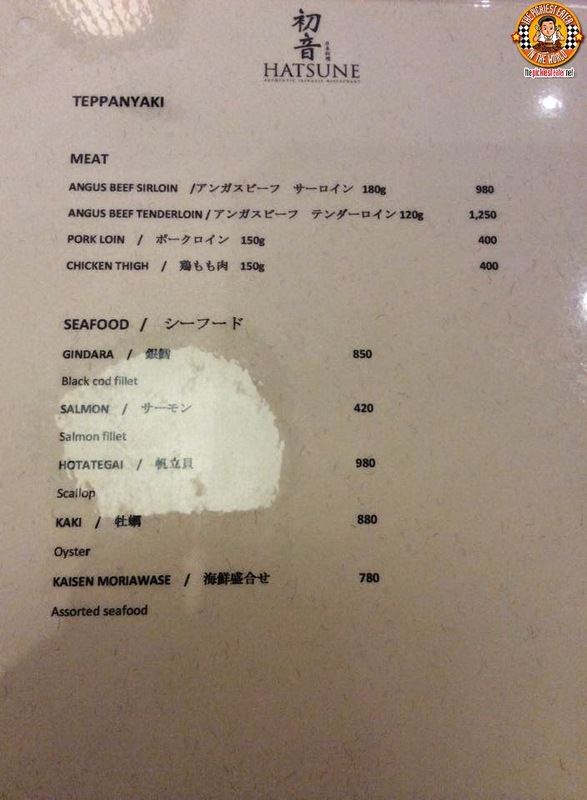 It also went nicely with the Japanese mayonnaise that I requested. I must admit, when it comes to Katsu, Yabu has spoiled me silly, leaving an authentic Japanese restaurant such as Hatsune's version of Tonkatsu (P350) with a tough act to follow, Although this Deep fried breaded pork loin was quite tasty in its own right, this was nowhere near the quality of deliciousness of the Katsu titan. 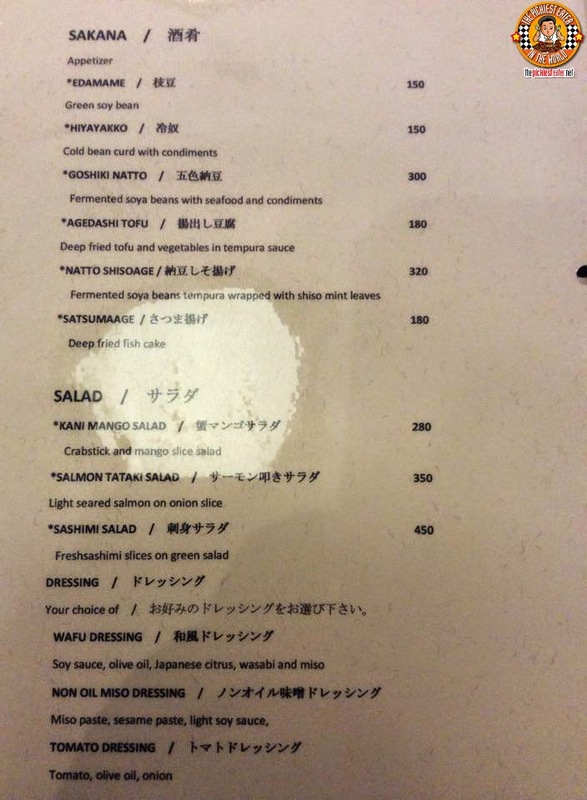 The Saba Shioyaki (P300) wasn't the sexiest dish on the table, but I gotta say, it was really quite delicious. 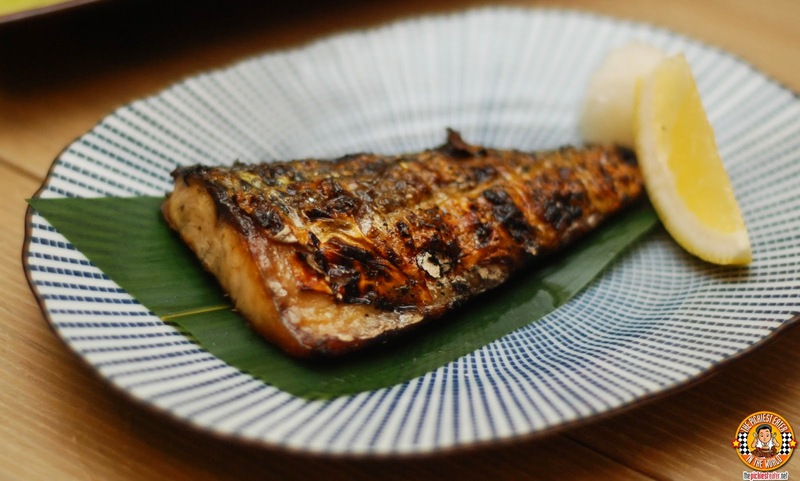 A cut of grilled Mackerel meat, seasoned beautifully with just the right amount of salt, allowing the natural flavors of the fish to shine. 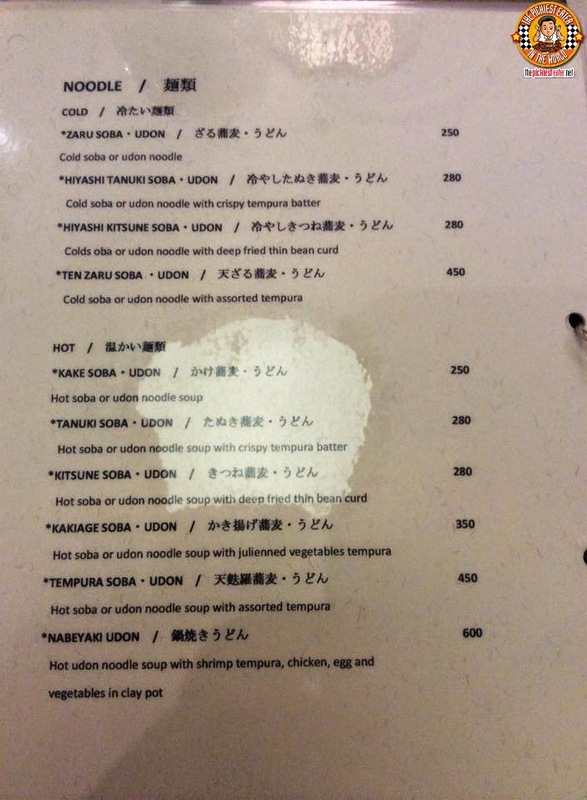 A very interesting dish that we tried was the Gyuniku Hoba Yaki (P780). 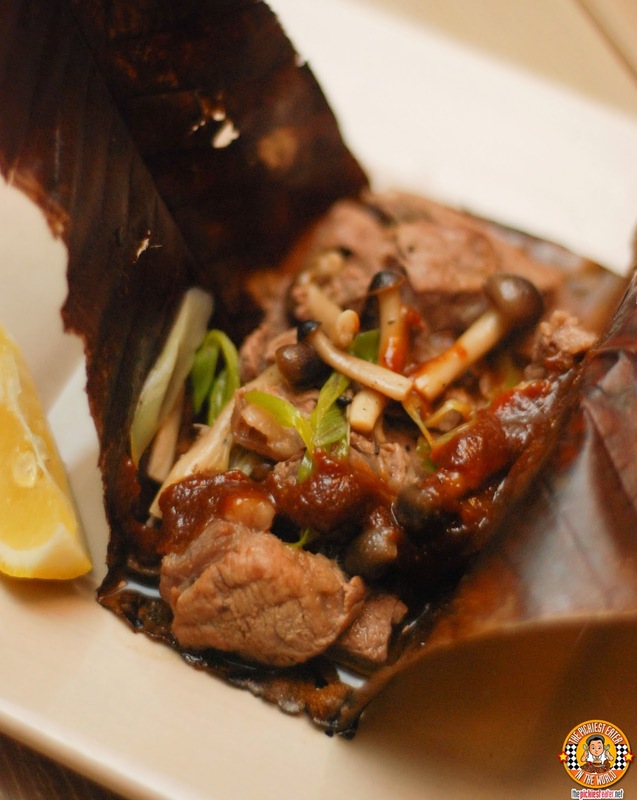 This was a mix of grilled beef and vegetables, slathered in a thick, Dengaku Miso Sauce, then wrapped in a Boba Leaf. 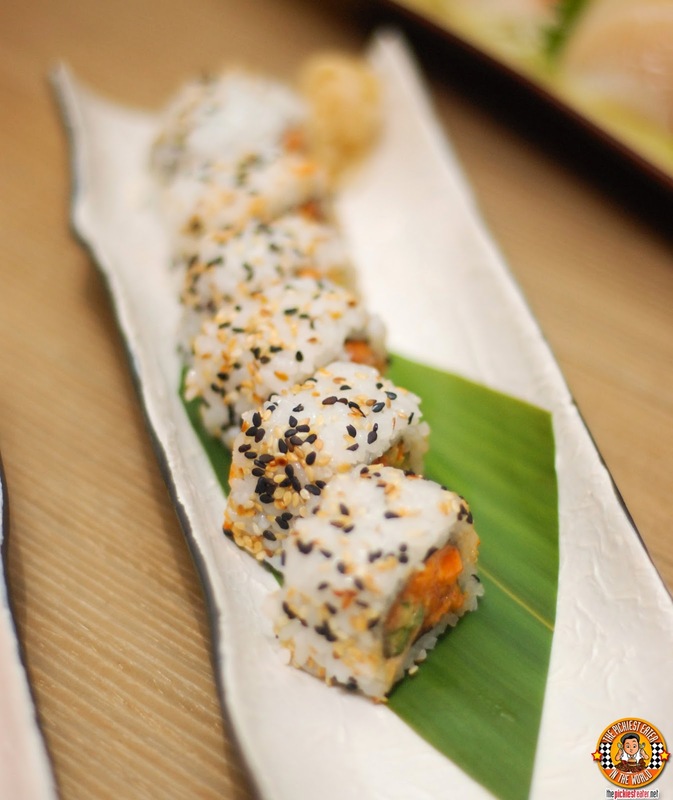 For me, one of the best dishes I had at Hatsune.. And i'm talking mind-blowingly good, was the Ginadara Terikyaki (P780). 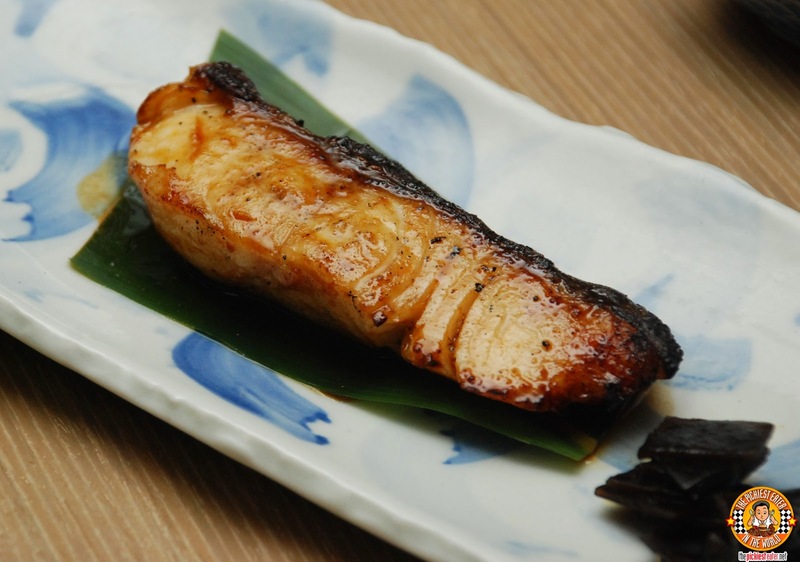 A slab of grilled Black Cod fillet with the skin on, glistening with a sweet and salty Teriyaki glaze, The fish itself seemed marsh-mallowy soft and went perfectly with the teriyaki sauce that kissed its meat. 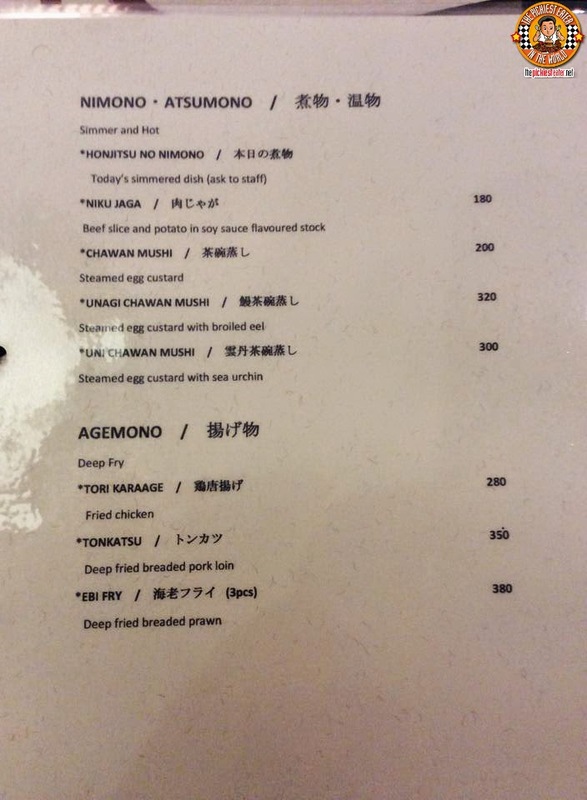 We also tried some items from Hatsune's Teppanyaki menu, starting with the Enokidake Itame (P250). 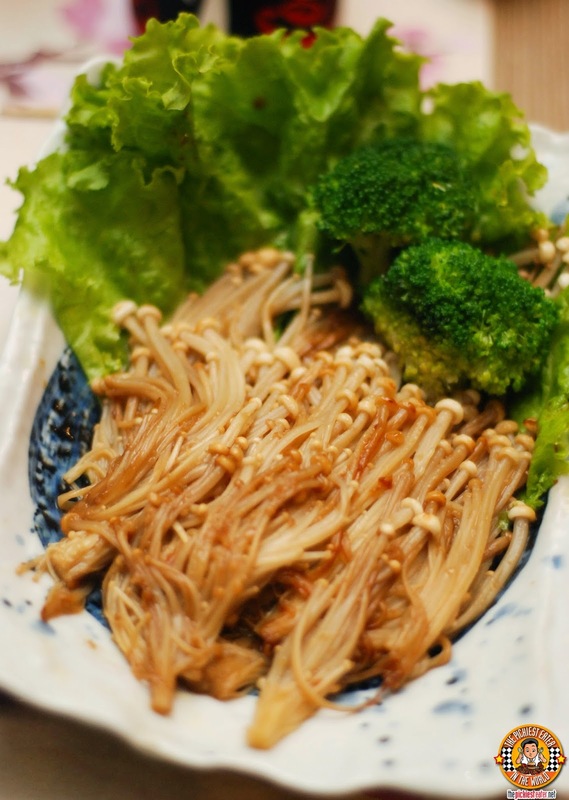 Enoki mushrooms are one of the few mushrooms that I really enjoy, and this was really quite good, however I found myself looking for a bit more butter on it, like I had before during our dinner at Yaku. 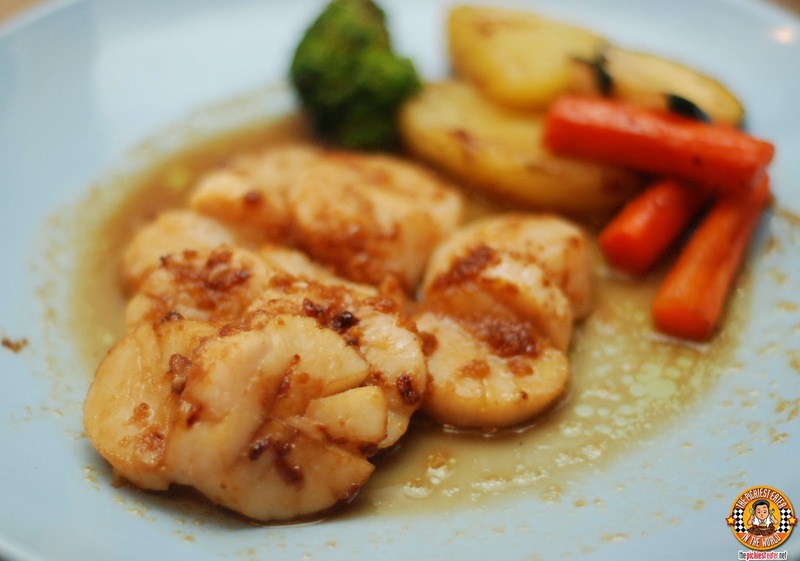 Rina had a field day with the sauteed Scallops, or as Hatsune calls it, Hotategai (P980). I gave Rina my portion.. It was pretty hard not to when she comes at you all wide-eyed, saying, "You're not going to eat your scallops, right?". 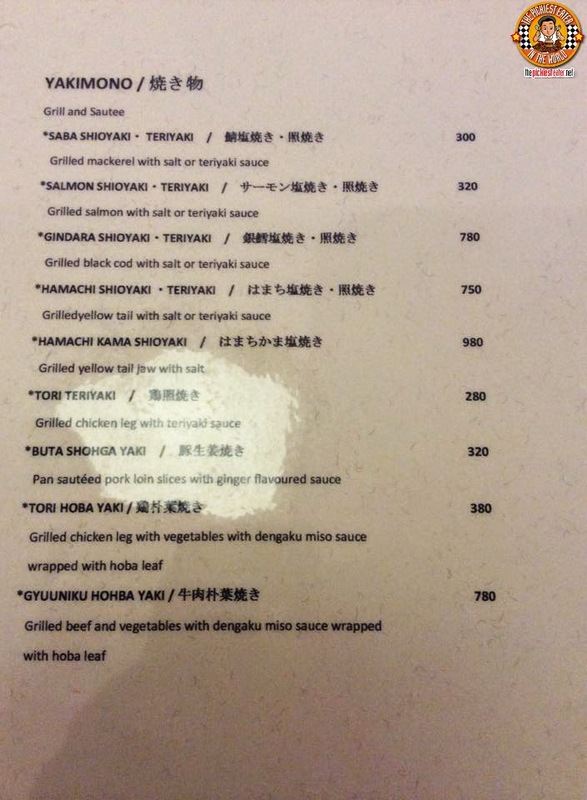 The crown jewel of our lunch at Hatsune had to be the Angus Beef Sirloin Steak (P980). 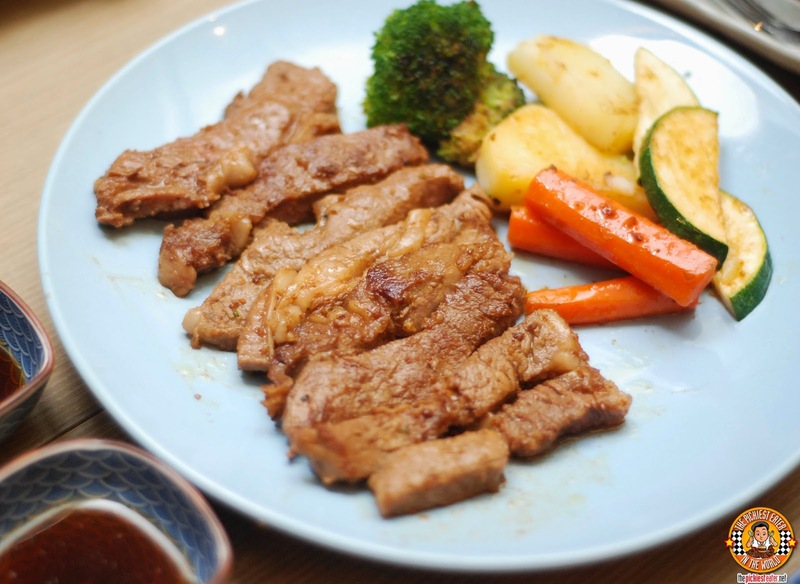 The meat was remarkably juicy, and had a wonderful punch of flavor, with nice garlicky notes and soy sauce adding to the marvelously seasoned meat. The steak also had just enough fat to keep me interested hehe.. 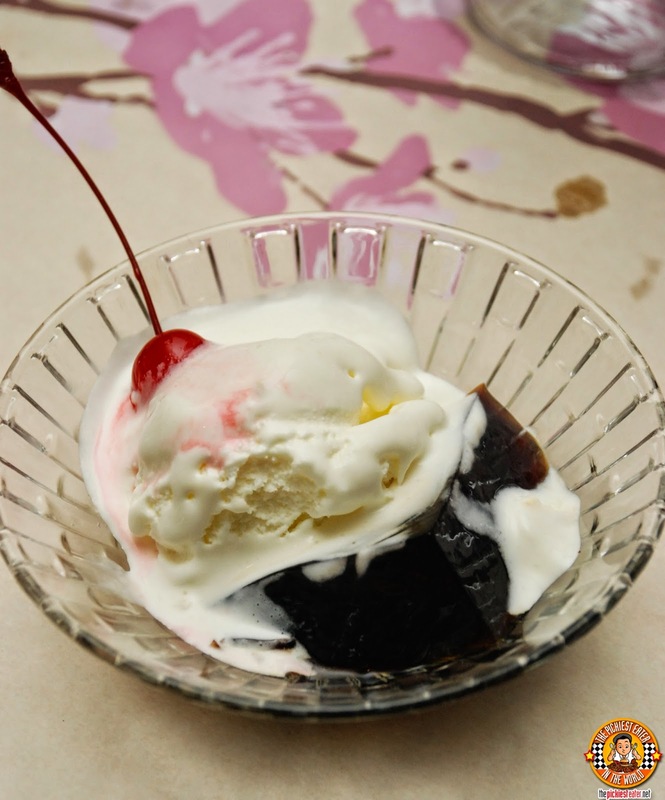 The meal ended with a bowl of Coffee Jelly for everyone, which served as a nice palate cleanser, though flavor wise, albeit nothing truly spectacular. 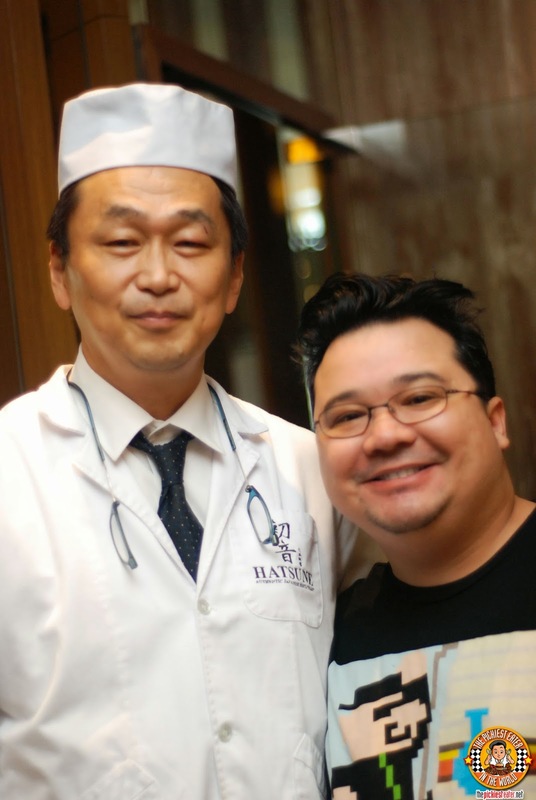 I have full confidence in Chef Hiro Yamaguchi at the helm of Hatsune, simply because I'm a fan of his previous work. In case I forgot to mention, Chef Hiro was the face of the Japanese station of a popular hotel buffet you may have heard of before.. Called..umm.. oh I don't know.. 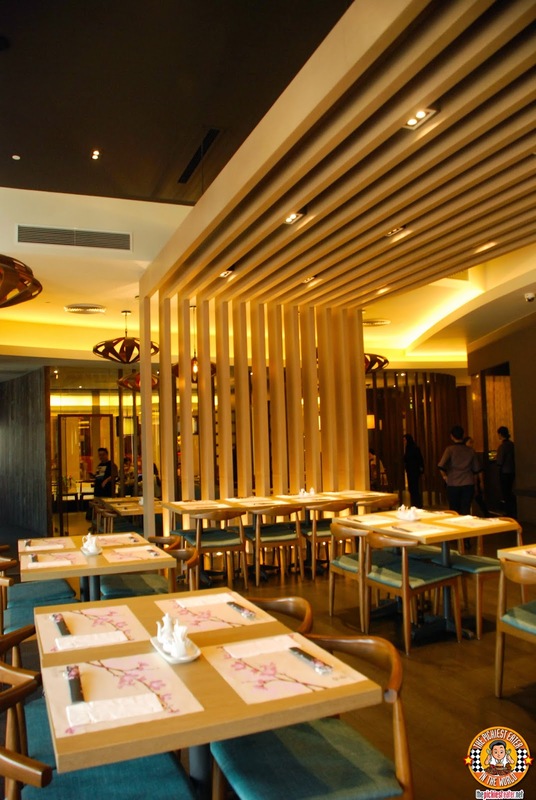 Nonetheless, with his new baby, Hatsune, his masterful skills in the art of Japanese cooking is put to good use, and is without a doubt, a Japanese restaurant to watch! Like Bellevue Manila on Facebook!